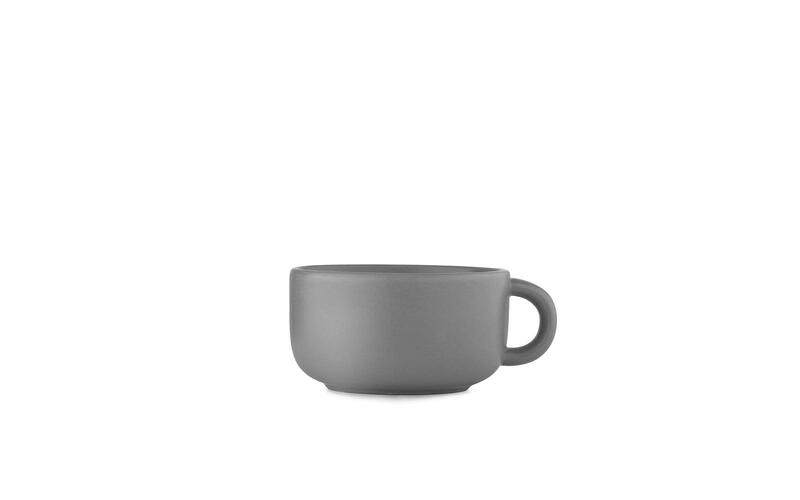 This Normann Copenhagen Bliss cup by Designer Odo Fioravanti is a modern porcelain cup that is both sturdy and sweet. Its simple shape and soft contours work beautifully together. A plain, matte surface gives a contemporary and clean overall impression. Colours: Grey, White.